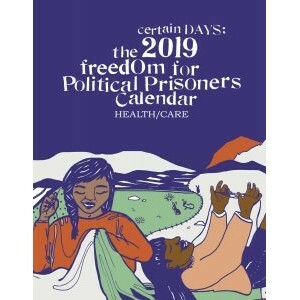 Political Prisoners Support Calendar, with the theme Health/Care. 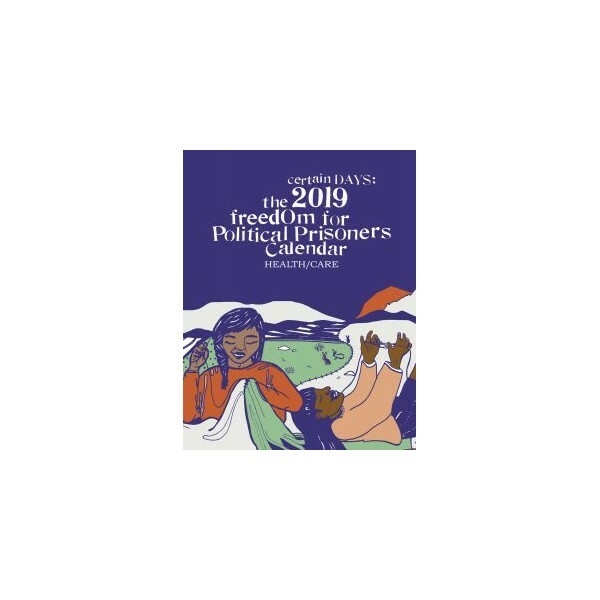 The Certain Days: Freedom for Political Prisoners Calendar is an incredible joint fundraising and educational project between outside organisers across the pond in Montreal, Hamilton, New York and Baltimore, in partnership with a political prisoner being held in maximum-security prison in New York State, David Gilbert. Co-founders Robert Seth Hayes and Herman Bell were released from prison in 2018. 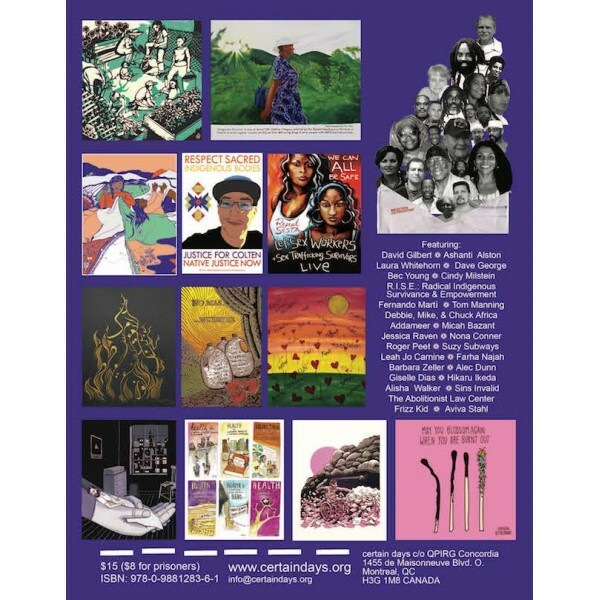 This year’s theme is “Health/Care,” and features beautiful art and writings by David Gilbert, Bec Young, RISE: Radical Indigenous Survivance and Empowerment, Aviva Stahl, Debbie, Mike and Chuck Africa, Roger Peet, Addameer, Leah Jo Carnine, Suzy Subways, Farha Najah, Ashanti Alston, Alec Dunn, Barbara Zeller, Hikaru Ikeda, Giselle Dias, Micah Bazant, Alisha Walker, Fernando Marti, Sins Invalid, Tom Manning, Dave George, Laura Whitehorn, Frizz Kid, Abolitionist Law Center, Cindy Milstein, and more.